LinkedIn remains one of the leading social media platforms for professionals to interact, while also being a great place to find influencers and engage with like-minded individuals on any number of topics. While many people or businesses set up a profile and occasionally log in to check it, using it more actively can benefit your career or the prospects of your business in many ways. While it is an excellent way to keep an updated resumé, it has much, much more to offer. Writing content and publishing it on LinkedIn gives it a better chance of being read and shared. You can create an audience quite easily on LinkedIn, that reads, responds and engages with your content far more than on other social platforms. The content on LinkedIn is reaching the very people who want to read it and an article that resonates with readers is one of the quickest ways to increase your network. Another upside, is you improve your personal brand along the way. LinkedIn is a great source of advice on project ideas, how to address issues and get feedback from your connections. You can catalogue your achievements and share your big moments, as well as see who is looking at your profile – you never know where the next opportunity may come from. Joining relevant LinkedIn groups can give your business a boost as you become more visible and possibly become regarded as a thought leader in your industry. For someone just starting on LinkedIn, the three most important pieces of advice would be to keep your profile updated, build your network and look for opportunities. It’s easier to get connections than you think, some of who you may think are out of your reach. Adding a personal message with each connection request is a successful ploy. Getting found on LinkedIn is important, so make sure your profile is optimized for search. Use a header that is descriptive rather than vague and cleanse your profile of who you are and replace it with explanations of what you do. LinkedIn has a number of clever tools that make finding people, prospects and customers more easily. Their profile organiser ensures that you can save profiles and make notes about the interactions with that person. 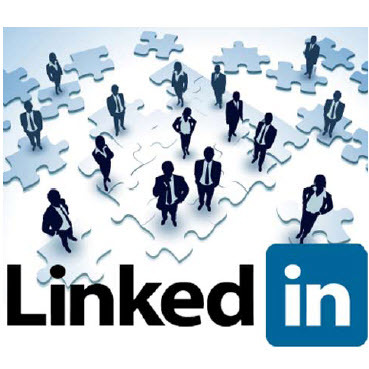 Expanding your network and making your expertise available to others makes LinkedIn a most valuable marketing tool. For more on using LinkedIn for your business, contact us today.